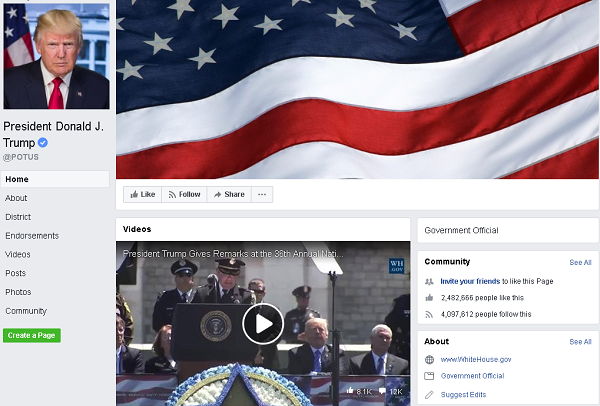 In case you are not already aware that Obama did not have his own presence on Facebook untill today and POTUS (President of the United States) has finally joined Facebook. The Facebook page's URL is identified as POTUS so that means this Page will be the property of the United States government and not a personal page of Obama and it will be maintained by the WhiteHouse staff and most likely be taken over by Ben Carson or Hillary Clinton once they resume office after US presidential elections. Update: when the post was published the POTUS was Obama and not its DJT hence updated the images. 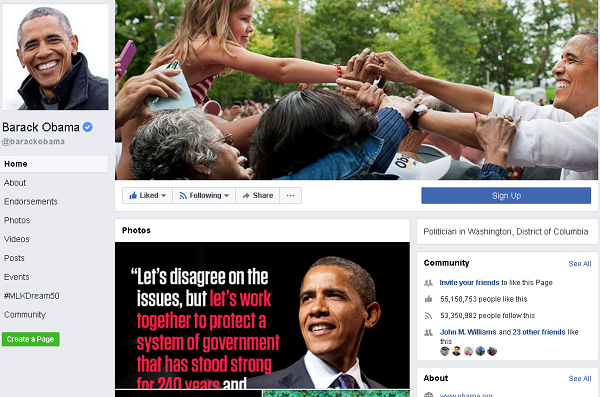 With less than 11 hours since its launch the total likes on the Page has barely touched half a million, its a little slow for Obama's standard and one of the reasons for slow Fan turnout might be his first Facebook message which tries to address the issue of Climate change, in which US is playing a leading role in making other countries reduce the Carbon foot print. The introduction is interesting where its mentioned that he is first dad, husband and then the 44th President. Below is the exact introduction. Dad, husband, and 44th President of the United States. Comments and messages received through this account may be archived: wh.gov/privacy.